With Microsoft feeling the squeeze between low-end Android devices and Apple’s high-end dominance, the company may be pondering desperate measures. According to The Verge, Microsoft is considering whether to nix licensing fees for Windows Phone and Windows RT, allowing phone, tablet, and PC makers to use the operating systems for free. The report is unconfirmed but, if true, would be a big shift in approach for Microsoft, which makes much of its money from OS licensing. Nokia accounts for 90 percent of Windows Phones currently being sold. Making the platform free could attract more developers. The company would sacrifice some of those profits to encourage more products at lower prices, and therefore more potential market share around which to build an ecosystem of apps and services. Getting rid of licensing fees looks like a risky move. Whether it would work, and what it means for users, depends on a few major factors that haven’t yet been determined. Consider what we already know: Microsoft plans to acquire Nokia’s devices business, which by one estimate already accounts for 90 percent of all Windows Phone 8 handsets worldwide. Assuming the acquisition goes through, Microsoft would effectively be paying itself for nearly all Windows Phone licensing fees, and making money on hardware instead. Windows RT is in a similar situation. Most hardware makers have abandoned the platform, preferring instead to create tablets that run Windows 8.1 or Android. 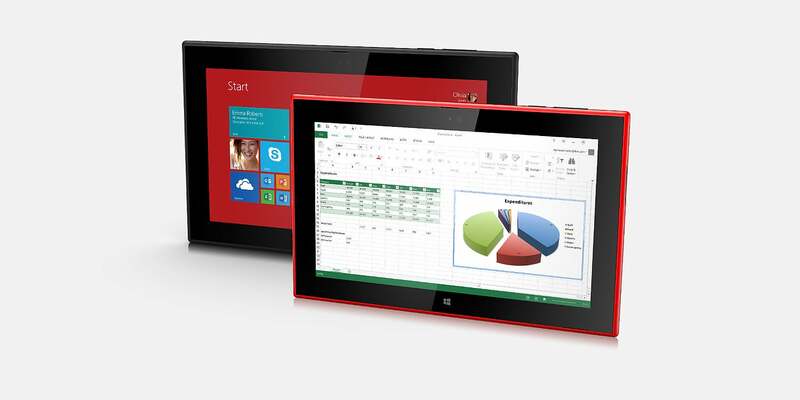 The lone holdouts are Microsoft, with its Surface RT and Surface 2, and Nokia, with its Lumia 2520. Again, the profits shift to hardware. Other phone and tablet makers are already staying away from Windows Phone and Windows RT. If they remain subject to licensing fees, they’ll have even less incentive to use Microsoft’s operating systems. In that sense, Microsoft has nothing to lose by making Windows Phone and Windows RT free. “If you’re in (Microsoft’s) position in the market, where you’re, in many cases, not even considered in it, you might want to do it just to try and shake things up,” said Michael Cherry, an analyst with Directions on Microsoft. Even if Microsoft gives away Windows Phone and Windows RT, the company wouldn’t be risking its core business, at least not at first. Microsoft could continue to charge licensing fees for traditional versions of Windows on laptops and desktops. The decline in PC sales appears to be slowing down, so Microsoft can continue to milk the licensing model for a long time. If anything, rumors this week suggest that Microsoft will draw a clear line between its free and licensed operating system. According to ZDNet’s Mary Jo Foley, Microsoft plans to merge Windows Phone and Windows RT into a single operating system, focused on Windows Store apps. Meanwhile, a more traditional version of Windows would appeal to laptop and desktop users. This next wave of Windows releases, codenamed “Threshold,” could arrive in 2015. The Nokia Lumia 2520 is one of only two remaining Surface RT tablets (the other being Microsoft's own Surface 2). In this scenario, hardware makers could keep selling laptops, desktops, and hybrids with traditional Windows, paying Microsoft a licensing fee. However, if they want to offer Windows hardware for cheap, they’ll go with the free, modern version that likely includes a free version of Office. The big question, then, is whether PC makers and consumers will ever fully embrace the touch-friendly, app-driven side of Windows. If not, Microsoft doesn’t sacrifice much by trying to buy a chunk of the phone and tablet market. But if the strategy does work, and the main consumer version of Windows becomes the modern, app-driven one, Microsoft risks cutting deeper into its Windows and Office software business. In any case, Microsoft probably isn’t too concerned about cannibalization, said Ross Rubin, Principle Analyst for Reticle Research, given that Microsoft has positioned itself as a “devices-and-services” company. “They have had to have considered that before they decided on this positioning, because margins for software are a lot higher than they are for hardware,” Rubin said. The Verge notes that Microsoft could try and make money back on services like Bing, SkyDrive, and Skype, but Rubin said there may be other opportunities—things like mobile health or mobile payments—that come easier with greater market share. Rubin also suggested that Microsoft could sell additional features or higher tiers for Office or Windows, beyond what’s given away with a free license. “In many ways it’s a leap of faith by all of the major ecosystem providers that at some point, they will find some way to make money on services,” Rubin said. To summarize, Microsoft may drop licensing fees for what could someday become the main consumer version of Windows, while also giving up Office revenue by giving the software away with Windows phones, tablets, and hybrids. To stay profitable, Microsoft could focus on selling its own hardware and offering services on Windows machines made by other vendors. If any of this comes to fruition, it’s the very embodiment of the “devices-and-services” strategy that Microsoft has espoused since last year. It all makes a lot of sense. There’s just one more variable to consider: Within a year, Microsoft will have a new CEO. Whether the successor to Steve Ballmer will adopt a free licensing model, or shake up Microsoft’s business in more dramatic ways, is still anyone’s guess. Nokia has done an amazing job in releasing a 10-inch Windows RT 8.1 tablet that bears no resemblance to the Surface 2.